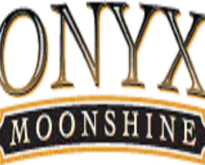 With its launch in 2011, Onyx Moonshine became New England’s first legal moonshine since Prohibition, and the first ultra-premium American moonshine ever. Made in a small distillery in East Hartford, Connecticut, from carefully selected corn, malted grains and pure Connecticut spring water, Onyx Moonshine infuses age-old Yankee charm with a flavor and mixability that “shines” in the modern world. In two brief years, Onyx has already become one of the fastest-selling spirits in Connecticut and is now available in Rhode Island and Massachusetts. Look for us wherever top shelf liquors are sold. We’re all about word of mouth, so if you don’t see Onyx, ask for it and help spread the word! For information about booking the Tasting Room for your private event please email contact@onyxmoonshine.com.